Live a sweeter, healthier life, starting today! 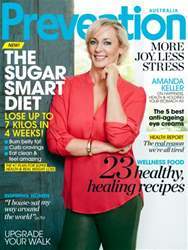 In July Prevention, we launch our groundbreaking new plan The Sugar Smart Diet. Discover how to eat clean, curb cravings, unlock more energy and shrink your sugar belly in 32 days! Plus, create younger skin with simple tips direct from skin doctors. Eat well all winter with 23 healthy, healing recipes (think roast chicken, low-fat carbonara, guilt-free raspberry tart and more). 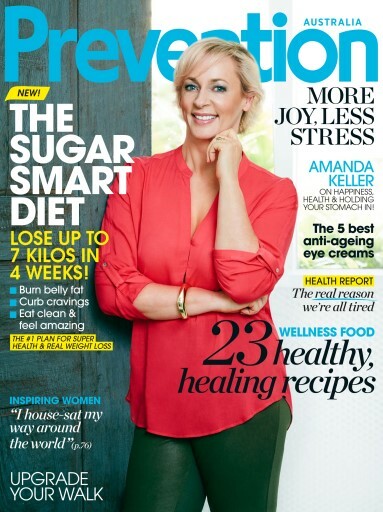 And our cover star Amanda Keller reveals what she really thinks about life, love… and turning 52.